What would you do if one of your close family members disappeared and you were left wondering what happened to them? Author Lisa Jewell takes this desperate situation and weaves a complicated story of love, loss, and emotions in her book, Then She Was Gone. How would you deal with a missing daughter? With the media swirling around you spreading rumors and the police not able to find any answers, how would your future life turn out? 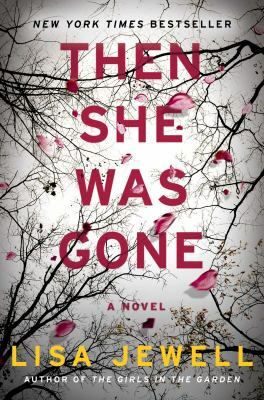 Then She Was Gone by Lisa Jewell covers those questions and more. Ten years ago, Ellie was fifteen years old and the youngest of three children. Her mother, Laurel, treated Ellie like she was her golden girl. Ellie had a loving boyfriend, an adoring family, was studying for tests, and had her whole life in front of her. Leaving one day to study, Ellie disappeared. Despite a public plea for help, intense media scrutiny, and the police looking for her, the initial hopeful window for finding Ellie slips away, leaving her family with many unanswered questions and no Ellie. Flash forward ten years. Ellie is still missing. Her disappearance has torn her family apart. Her mother, Laurel Mack, is struggling to find some semblance of normalcy. It’s been ten years since Ellie disappeared, seven months since her marriage officially ended, and a short couple months since she was contacted about the latest lead in Ellie’s disappearance. Her relationships with her other children are strained, leaving Laurel to seemingly float through what’s left of her life. Heading to a coffee shop one day, Laurel meets a charming man named Floyd. Their chance meeting morphs into something serious, much to Laurel’s surprise. At Floyd’s house, Laurel is introduced to Floyd’s youngest daughter and her heart stops. Floyd’s youngest daughter, Poppy, is the spitting image of Ellie when Ellie was her age. 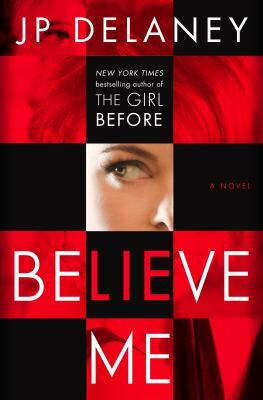 This uncomfortable reminder of Ellie’s disappearance begins to haunt Laurel and raise uncomfortable questions that she thought she had dealt with. Questions surrounding Ellie’s disappearance like where she went, why did she go, and did she go willingly, among others, begin to stalk her thoughts. Examining Floyd and Poppy’s relationship makes Laurel uncomfortable as well. She begins to look into who Floyd really is and tries to learn more about Poppy’s history as well. Her resemblance to Ellie is uncanny, something that continues to bother Laurel. As she searches for answers to all of these questions, Laurel has to decide what exactly she wants out of life and how far she is willing to go to get answers. Every year in the late summer or early fall, I anxiously anticipate a new mystery by Louise Penny in her continuing Chief Inspector Armand Gamache series set in Three Pines, a small village in Quebec. 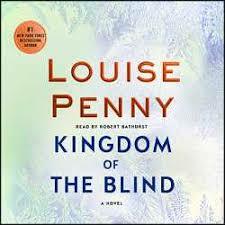 The fourteenth book in the series is Kingdom of the Blind and it is clear that Penny’s writing is as strong as ever. I usually listen to the audiobook version of Penny’s books. The narrator is Robert Bathurst, a former character on Downton Abbey (Edith’s suitor Sir Anthony Strallan) and his voice brings the Canadian inspector alive. If you are new to the Chief Inspector Armand Gamache series, start with Louise Penny’s first book, Still Life. The book begins with Armand Gamache, the former head of the Surete du Quebec, who is waiting to hear the verdict concerning his botched drug raid, which was a complete disaster. As the case hangs over his head, the drugs that eluded his squad begins to snake through the streets of Montreal with deadly precision. Gamache also learns of the betrayal of one of his “second chance” recruits, who has slipped back into addiction. While waiting for the internal investigation to end, Gamache, along with friend and Three Pines resident Myrna Landers, have learned that they been named as executors of a woman’s estate whom neither of them know, along with third man who is a stranger to them. Why would this woman, who referred to herself as “The Baroness” appoint Gamache and Myrna as two executors when she was an outsider to their close-knit group in Three Pines? After one of her beneficiaries is found dead in The Baroness’ dilapidated former home, Gamache is determined to find out more about the self-proclaimed royal and her family secrets. The case of the Baroness runs parallels with Gamache’s fate in the drug raid and its consequences. But, the Baroness is not the only one with secrets. Gamache has secrets of his own that will be revealed when all the pieces fit neatly into place. I find most of my reads while I’m looking through journals at work or when patrons suggest authors to me that I should try. Don Winslow came to my attention both ways. One day I saw his newest book in a journal I was flipping through. The next day a patron came to the desk and, through conversation, suggested I should try one of his books. As I’m a believer in coincidence, I knew I needed to give him a try. 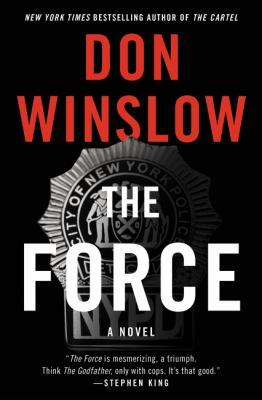 Wanting to start with a standalone first to see if I liked him before I dragged myself into yet another series, I decided to start with Winslow’s newest standalone, The Force . This book is a fantastic representation of Winslow’s crime writing abilities. 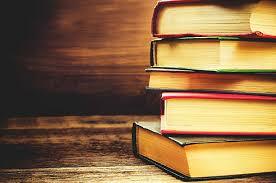 He is a gifted crime writer, proving that he really understands the subject matter that he chooses to write about. In The Force, readers are brought into the world of Denny Malone and the mean streets of New York. Malone says at the start of this book, ‘Our ends know our beginnings, but the reverse isn’t true’. If you knew how your life, your job, or your relationship was going to end at the beginning, would you change your decisions? What about at the end of your career? If you could go back and change, would you? At the beginning of this novel, Malone finds himself contemplating all the decisions that he has made throughout his life. This book serves as a glimpse into everything that happened in Malone’s life that led him to where he is now. Denny Malone just wants to be a good cop. When he started work as a police officer, all he wanted to do was make a difference for the public that he served. Now Malone is the king of Manhattan North. Working as a highly decorated NYPD detective sergeant has changed Malone from the straight and narrow cop that he started out to be to his current position as the real leader of what is known as ‘Da Force’. Malone is a cop who knows that there are lines that, once you cross them, can never be uncrossed. Knowing that doesn’t stop him from crossing those lines, a little at first and then bigger and bigger. People in Manhattan North, cops and the public alike, know not to mess with Malone or his team because he isn’t afraid to use his position of power to get what he wants. While Malone is working to clean up Manhattan North from drugs, guns, and gangs, there is decidedly some shady activity going on behind the scenes. While Malone and his team are credited with the biggest heroin bust in the city’s history, some(okay A LOT) of their actions surrounding said bust were not 100% legal. Since that bust, Malone and his partners have stolen millions of dollars worth of drugs and cash. If word got out of what they had done, they would all be in a great load of trouble. Malone is going about his daily life surrounded by other corrupt cops, politicians, lawyers, and judges just struggling to provide the best for the public, his family, and himself. Called into a meeting that quickly turns sour, Malone is faced with a choice that, no matter where he turns, will end badly. He finds himself balancing on a thin tightrope being pulled in multiple directions. Malone must choose who to betray: his family, the woman he loves, his partners, the police force, or his brother. Will he end up betraying them all? While Malone finds himself going through this struggle, the city he loves so dearly, New York, is on verge of collapse. A racial confrontation between the police and the public could destroy the city, let alone the nation. The topics covered in this novel are incredibly relevant to today. Several of the events discussed within happened in real life. I really enjoyed how Winslow pulled events from today’s headlines and incorporated them into the fictional world that he created for Winslow and his fellow police detectives. Read this book and let me know what you think! 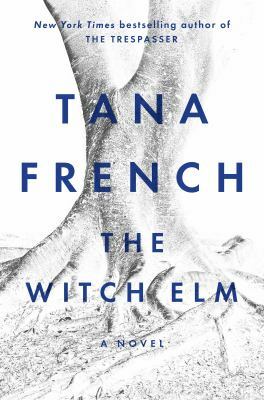 The Witch Elm by Tana French is her latest novel released in the beginning of October 2018. 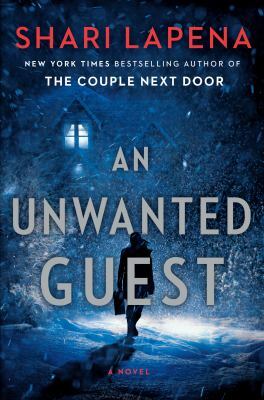 This standalone mystery is separate from French’s Dublin Murder Squad series(I can’t stress that enough!). Based on the reviews that I read, The Witch Elm is a prime example of why you should check out what a book is actually about about before you pick it up. Most reviewers were excited that Tana French had put out a new book and decided to immediately read it. 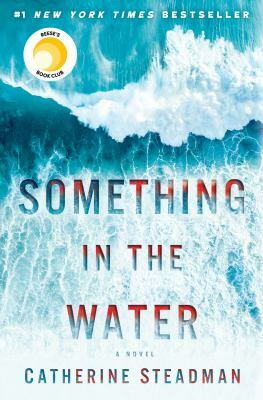 As I progressed through different reviews and websites, I saw that most had assumed this was a continuation of her Dublin Murder Squad series or had assumed that her newest would be a detective-centric story. It’s not! 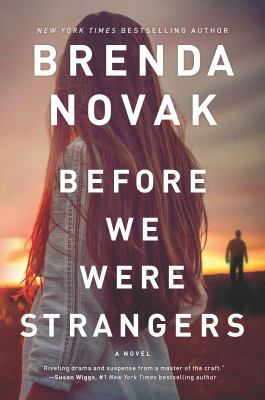 Having not read her others, I’m not sure how this one stacked up to her previous works, but I enjoyed the twists and turns of this novel a great deal. In The Witch Elm , readers are introduced to happy-go-lucky Toby. Everything always seems to work out for Toby. From his job to his girlfriend and his apartment, Toby seems to have it all. At the very beginning, Toby steps outside of the storyline of the book to inform readers that things have taken a turn for him. Through this novel, Toby says he will lay out the ways that his life has taken a turn. One night Toby is out having drinks with his friends, telling the story of how he has managed to come out of a touchy work situation in a positive manner. Hoping things will turn around, Toby drunkenly heads back to his apartment where he is surprised in the middle of the night by two burglars who beat him and leave him for dead. Not able to recover or live on his own, Toby finds himself living back at the Ivy House, his family’s ancestral home, taking care of his sick uncle. Left damaged and traumatized after his attack, Toby struggles to take care of himself and his sick Uncle Hugo. Luckily for both men, Toby’s girlfriend moves into Ivy House to help care for them. This brutal attack has forever altered Toby and he isn’t sure how to adjust to his new normal. Uncle Hugo’s illness has left the family in doubt as to what will happen to Ivy House after he dies, which may happen sooner than they all think. All together for lunch one day, Hugo begins to broach this topic. Before they get very far, a scream is heard from the garden. The children have found a skull, tucked into the old witch elm at the foot of the garden. With this discovery, Toby’s life will spiral even more out of control. Detectives, crime scene investigators, and the media descend in droves on Ivy House. Everyone in the family is on edge with Toby confused in the center. The aftereffects of Toby’s attack has addled his brain, making it hard for him to keep events straight. Constantly confusing the past and present and forgetting what is false and true rocket Toby to the top of the detectives’ suspect list. Through the course of their investigation, Toby is forced to look back on the idyllic childhood he lived and his perfect recent past. What he believed to be the truth may not actually be what happened. This novel takes a deep look at how what we believe to be true may not actually be how others remember what happened. 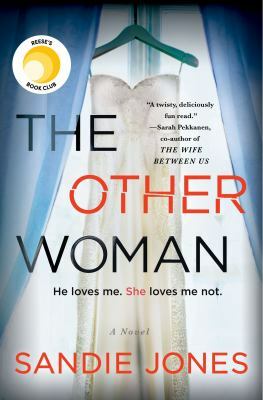 While I enjoyed the suspenseful storytelling weaved throughout this novel, Toby was a character I had to work to love. Tana French crafted Toby’s character this way in order to force readers to really look at what we would do when forced to change ourselves into someone new. I encourage you to read this book and let me know what you thought in the comments below! Ruth Ware knows how to write a novel full of twists. Bonus: if you listen to the audiobook version of really any of her books, you will be treated to some pretty neat accents. The Death of Mrs. Westaway, her latest book, is dark, dramatic, mysterious, and full of family drama. Hal reads tarot cards on Brighton pier, a job that does not pay the bills very well. This makes it hard for her to afford food, rent, etc. Hal’s mother used to read tarot cards, so after she died a few years earlier, Hal easily slipped into the job she had watched her mother do for years. Struggling to make ends meet, Hal is at her wits end when a mysterious letter arrives detailing that she has been bequeathed a large inheritance. Reading said letter, Hal knows that this can’t possible be true, but the timing of the letter seems like a gift. She decides to accept the inheritance and head to the giant, cold, and gloomy Trepassen house. Leaving for Trepassen, Hal knows that doing so is a mistake. Having taken a loan from a loan shark with massive interest, Hal also knows that she has no other options to even begin paying back what she owes without taking this inheritance. Onward she goes. Traveling down to the English coast, Hal pours over the letter looking for clues about the family that she is heading to meet. She is at a loss as to how to introduce herself, but knows that the cold-reading skills she has honed as a tarot card reader should help her claim the money and trick the others. Arriving amidst rain, Hal is led into the funeral of the deceased. Observing family and friends, Hal begins to feel that something is off with the whole situation. Something is just not right. Following the family back to Trepassen house, Hal gets her first look at this massive, cold, and dour house. Just looking at the place, Hal feels like there are many, many secrets hidden within the walls. The family is both tight-lipped and easy to share, a concept that throws Hal off. Left to sleep in a tiny bedroom at the very top of the house by herself, Hal and the others begin to sort through the messiness of the deceased’s will. As they get further and further involved, the wrongness that Hal initially felt grows stronger as the situation begins to spiral more out of her control. Not knowing who to trust nor who is telling the truth, Hal begins her own investigation into what is really happening. 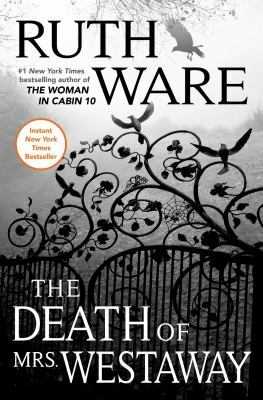 This novel reads like a bit of a detective story with Ware knowing how to spin a crafty and spooky atmosphere rich with crime, gothic, and murderous twists.